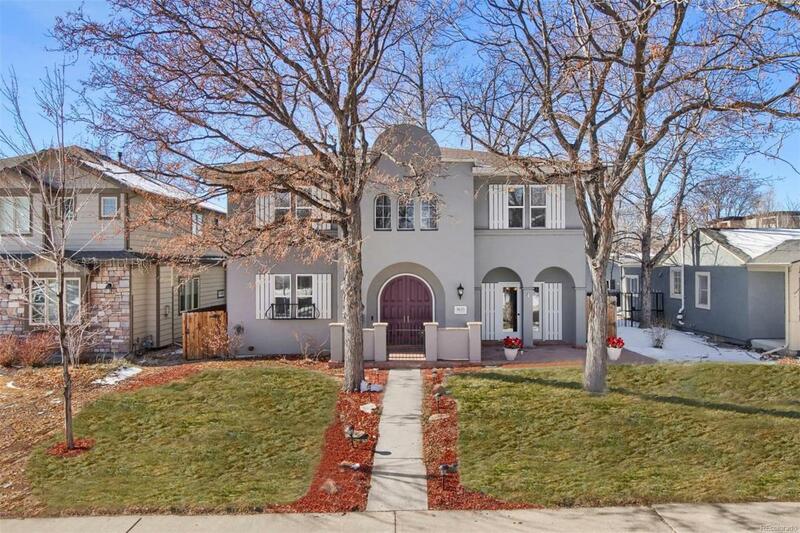 1635 S. Madison is the character-filled Cory-Merrill home youve been awaiting. Its stately architecture provides beautiful curb appeal and its interior is an ideal blend of charm & function. The main floor features a breathtaking open foyer w/wrought-iron staircase, a study/bedroom w/full bath, a show-stopper kitchen opens to the family room with new stone fireplace, a powder room for guests & a private dining area w/Butlers Pantry. Upstairs youll find a sought-after four-bedroom layout. The master suite includes his-and-hers-closets & a large 5-piece en suite bath. The 3 additional light-filled and spacious bedrooms share an updated full bath. The basement has an abundance of storage & a layout ideal for a TV/Media area & a separate hobby area or workspace. Exterior features include mature trees, fenced backyard, covered patio & a new, oversized 3-car garage! Walk or bike to Wash Park, Gaylord St., Bonnie Brae and enjoy quick access to I-25. Zoned for A+ Cory Elementary.